Buy Watch_Dogs™ - Bad Blood (DLC 3) and get the games download now! NOTICE: Requires the base game Watch_Dogs™ in order to play. Uplay account and internet connection are required to activate, download and use this product. Revisit Chicago in a brand new Watch_Dogs adventure! Play as T-Bone Grady, the legendary and eccentric hacker and Aiden Pearce's trusted comrade. Now on the run from Blume, T-Bone only has two choices: flee and start a new life elsewhere, or fight Blume to save an old friend. Face your shady past on your road to redemption. Play as T-Bone Grady in 10 new campaign missions. Discover many new locations, like T-Bone’s new hideout or Blume’s secret office. Fight with various new tools like T-Bone’s remote-controlled car, deadly armed cameras and brand new hacks. Experience a new dynamic system of side missions that offer players endless hours of challenges to unlock new perks, collect cash and increase your reputation in Chicago’s gang world. 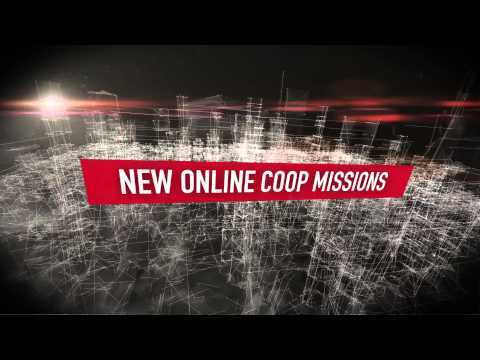 Enjoy the brand new 2 player online co-op mode with a friend or in public match making. *Supported Video Cards at Time of Release: AMD Radeon™ HD 5850 / 6000 / 7000 / R7 / R9 series, NVIDIA® GeForce® GTX 460 / 500 / 600 / 700 series, Intel® Iris™ Pro HD 5200. Note: This product supports 64-bit operating systems only. For the most up-to-date minimum requirement listings, please visit the FAQ on our support website at support.ubi.com.